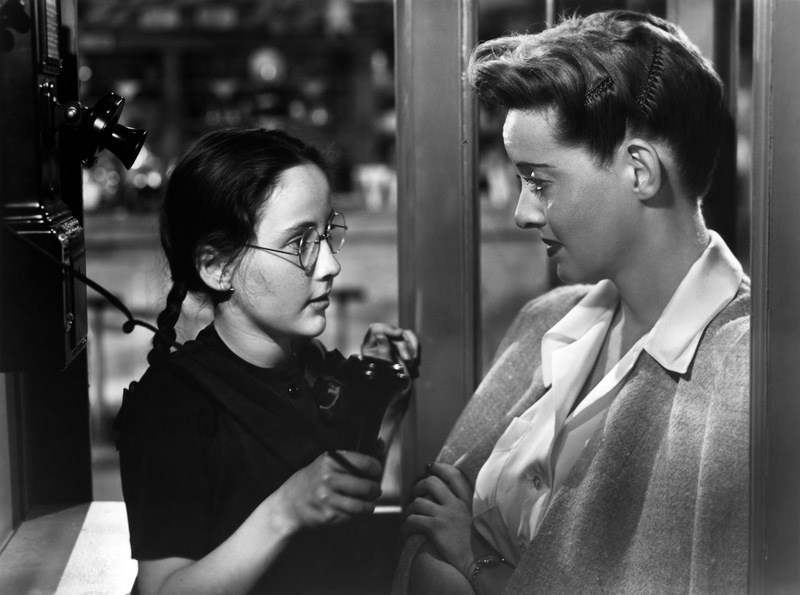 This is my second Davis-Rains-Henreid vehicle, having seen 1946's Deception not too long ago. Despite this one being more well-known and beloved--apparently the biggest hit of Bette Davis's career--I much prefer the former. Deception had the nerve to let its stars be mean, which is what they excelled at, particularly Davis and Rains. The operatic bitchiness of Deception is far more enjoyable and believable (from the actors) than the muddled soap that is Now, Voyager. It's of course gorgeously shot by director Irving Rapper, and the stars give the material their all. Davis has moments of genius. Her breakdown in the opening scenes as the dowdy spinster are startlingly vital, overbrimming with pent-up rage, first in her room with Rains and then when she lashes out at her provoking niece. Though Davis was often an uneven performer (for every iconic Margo Channing there's a tone-deaf attempt at classy camp in Hush...Hush, Sweet Charlotte), she's never not magnetic. She's at her prettiest here once she has her magical Hollywood makeover, and her outfits, particularly the white cocktail gown on the ship, are breathtaking. Why I can't find a decent shot of it, I'll never know. Paul Henreid as her martyred married lover is broodingly attractive, with dreamy eyes and oh that accent. They have good romantic chemistry. His dark warmth combined with her neurotic sensuality complement each other well. And believe me, it's fun seeing all these ingredients play out, but I wish Rapper could've found a smoother, more narratively concise way to gel them together. I felt like I was watching three separate movies, particularly because we don't see enough of the process that turned Charlotte from the moody bespectacled introvert to the lovely lady of mystery, or how she got from Point A. Sanitarium to Point B. Cruise ship. There was a disconnect at play that I never really recovered from, and watched the proceeding romance and foster parenting unfold like it were all a fantasy of Charlotte's. Apparently the plot follows Olive Higgins Prouty's novel unusually closely, possibly to a fault. Often the movie tries too hard to hit all the beats in the book, sacrificing a lot of coherence. But really, again, the biggest crime is that we see our actors do and say things we don't particularly want them to say or do. 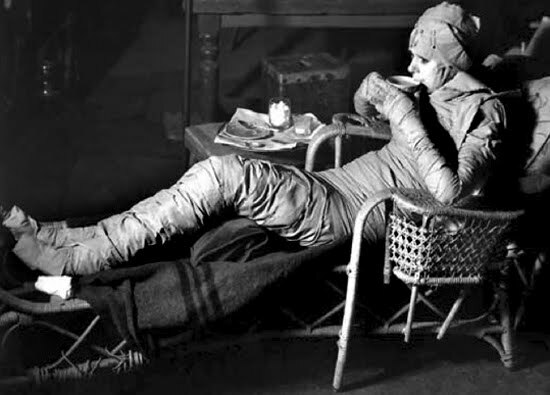 Claude Rains's Dr. Jaquith is paper thin, frustrating because we sense Rains itching to chew up a little scenery. I kept waiting for his sinister ulterior motives, or for him to maybe become obsessed with Davis, dastardly in love with his Galatea that he broke out of her shell with his black magic psychiatry. That would of course be all messed up, and Rains certainly played that type of role over and over, such as in Deception, and pigeon-holing is never fun. But there's no denying he was so good at that type of refined smarm. It's somehow creepier watching him play an avuncular guy with good intentions. I will admit, he is tremendously affecting comforting Davis in her initial freakout scenes, but the action drops once his character fades from view and is relegated to the slightly concerned background player. Davis does herself well in the cruise scenes when she falls in love with Henreid's character. She's in her element playing cynical, hardbitten elegant types who frighten even themselves with the depths of their passions. Yet just as it seems there are three different movies going on, she plays three different characters, and she seems lost in the other two. She captures the simmering resentment in her dowdy scenes, but cannot capture the mousy insecurity, not with that brashly brittle voice of hers. Her third role, that of the unofficial caregiver of Henreid's daughter, requires her to be maternal and all-understanding. Davis hits too many false notes here, because maternal understanding is not her forte. She'd be more convincing were she allowed to employ some tough love and dispense nuggets of wisdom wrapped in wisecracking snark. But her scenes with the somewhat inept young actress Janis Wilson are leached of any humor, and too heavy-handed to be any fun. The two share some genuinely moving moments, yet I can't help but think I was watching the wrong leading lady for that particular job. Give me Baby Jane's screeching, sure, but don't give me a saccharine Bette Davis. Therefore, the whole thing with Tina comes off as kinda creepy. Without Henreid's knowledge, Davis insinuates herself into her lover's daughter's life, becoming the child's sole support system. That is some bad psychiatry on Jaquith's part allowing her to take over so fully. Going camping with a child who's not yours like that, just the two of you, ain't legal, I don't think. And then you turn around and take her home with you. Y'know, after an okay from Jaquith. Yup. Obviously I'm willing to cut a movie like this some slack; '40s psychodramas weren't particularly well known for their realistic grip on mental healthcare. But the Charlotte/Tina development is a little too rapidly jumbled over, with no real closure. So what, Tina just lives there now? I guess? And Charlotte and Jerry are gonna raise her together, but not stay romantically involved? And Tina's mom (another MONSTER but one we never see because screw her perspective) is totally fine with this because Tina was an accident anyways? Um. I haven't posted here for awhile, and I'm actually kinda hesitant to make this my comeback review. I understand and appreciate that this is a favorite, and I don't want to come across like I'm ragging on an old standby. After all, Now, Voyager does have its truly enjoyable moments. On a visceral level, of course I got a thrill watching Davis stand up (with such classic Davis flair) to her wretched mother, and who doesn't love Davis's beautifully made up face that not even a cloud of smoke or glistening tears could disfigure, as she makes crazy eyeball love to Henreid? These moments are golden and shouldn't be callously passed over. Still, I wish the movie had more bite, more consistency. Dark Victory is next on my list, and who knows, it might be the perfect marriage of Davis's talent and high-class camp that I'm looking for. P.S. The sooner I can forget the ham-handed attempt at humor with the Portuguese cab driver? The better. Somehow I managed to miss this review when you posted it. Cool to see you tackling good old 40s melodrama, which I don't remember seeing much of on your site. 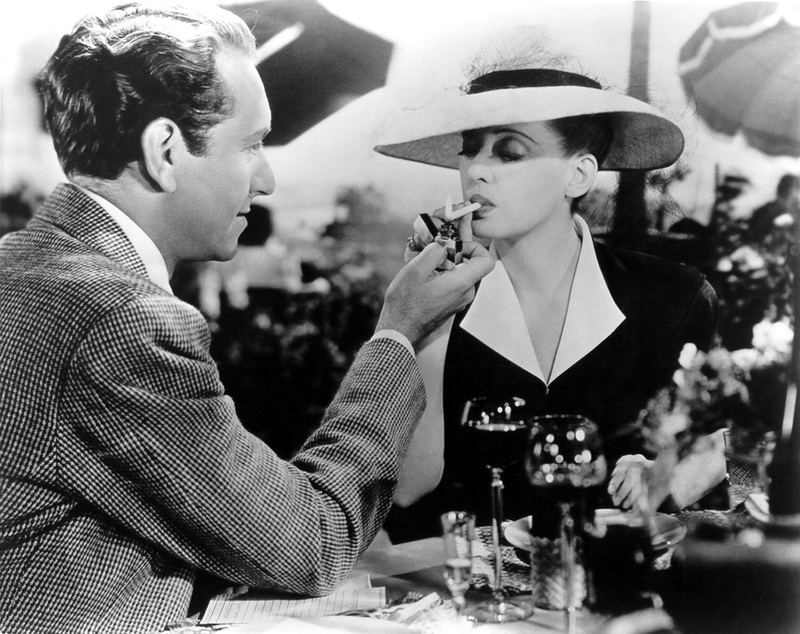 Personally, I think Now Voyager is riveting whenever it switches to the battle of wills between Davis and Cooper, enjoyable enough when it goes for the romance and utterly deadly when it switches to Tina. I always felt this movie was crying out for a sequel in which Tina finds out that the two people she loves best have been using her as a prop for their romantic fantasy life. And I really think somebody needs to invent a name for Tina's condition, whatever it is (a la Ebert and "Ali MacGraw Disease"). Cuz Davis says something about how Tina can't go home or be treated like a normal girl "until she's physically well." And yet she's running around looking healthy as a horse. On the side of things I do enjoy about the movie, I actually don't have a problem with nice Claude Rains. Davis liked to say that she figured Charlotte eventually married Dr. Jaquith. Probably because, like me, she found Claude Rains incredibly attractive. I also love Mary Wickes as the nurse. And the Steiner theme. Let us know what you think of Dark Victory! Man, a sequel with Tina would be amazing. Who do you trust now, Tina?! Rains certainly acts the hell out of his part; I guess I just loved his bitchy composer in Deception so much I wanted a repeat. I LOVE that Davis wanted her character to end up with Rains. That would have been an awesome twist. Thanks as always for your thoughts, Aubyn! I can't wait to see Dark Victory. Even though this wasn't exactly a glowing review, I still enjoyed watching it. So I do need more '40s melodramas in my life! I could not agree more with your review. I longed for more process and wondered if it was on the cutting room floor. And Claude Rains was almost wasted except for getting to see Claude Rains, always a treat. Good job, thanks! Thank you, Jan! Yeah, this movie felt like there were a lot of edits at crucial plot points. Thank you for sharing in this article I can learn a lot and could also be a reference I hope to read the next your article updates. obat perangsang wanita yang saat ini perlukan bagi kehidupan pasutri untuk menjaga hubungan agar lebih romantis, adanya apotik Jual Obat Perangsang Wanita menjadi mudah untuk mendapatkannya.